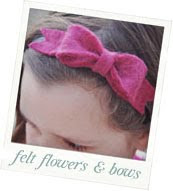 Rounding out our week of five minute thoughts how about a five minute craft? Sure, the total time (if you include drying, etc) is more than five minutes but the actual activity involved is barely that. Working with natural resources not only saves money when making homemade holiday crafts, it also reminds us to enjoy the beauty of the world around us. 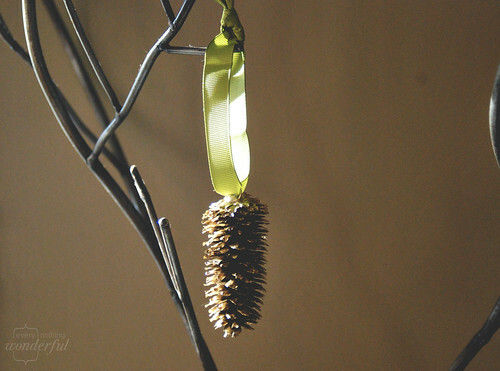 Pinecone crafts are easy, additive, and beautiful. 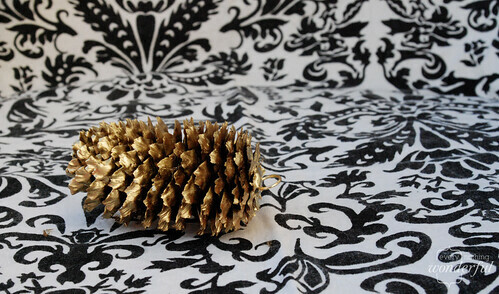 Today I'll be sharing 3 pinecone drafts: potpourri, an ornament, and a charm. Simple as could be! Gather pinecones, bake, scent and enjoy! 1) Gather pinecones. I actually did this part of the activity with my daughter - and she loved it. In fact she insisted on carrying the rather large bag of pinecones home...by herself. She's all of maybe two feet, ten inches tall, did I mention that? 2) Bake pinecones on a cookie sheet lined with foil at 250F for 20 minutes to an hour (depending on how wet they might have been initially. This will kill any little bugs that might be inside and melt off any sap on the pinecones. 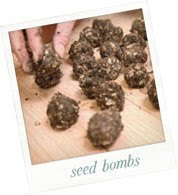 4) Add scent: You can do this in a number of ways. 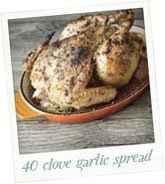 For subtle add spices (cinnamon, nutmeg, clove, allspice, bay, etc) and peels of citrus fruit. 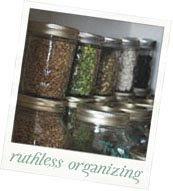 For more impact add essential oils or designated potpourri oils/scents. 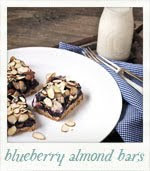 For cheaper, use extracts you already have in the kitchen: vanilla, almond, coconut, peppermint, rose, etc. 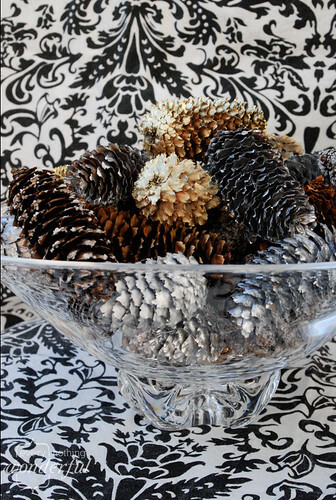 I prefer a mix of glittered pinecones, plain pinecones, metallic pinecones, berries, fruit peels, etc. 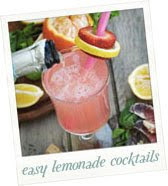 Make your mix what you think is elegant or beautiful. 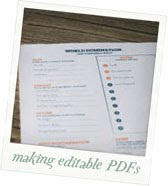 Truly a no-fail project. Certainly an ornament does not have to hang on just a Christmas tree. Use this pretty decoration on wreathes, hung from a chandelier, laid on a mantle, or piled high in a bowl to bring a little shine to your space. After collecting pinecones of various shapes and sizes go ahead and bake as per the instructions above. 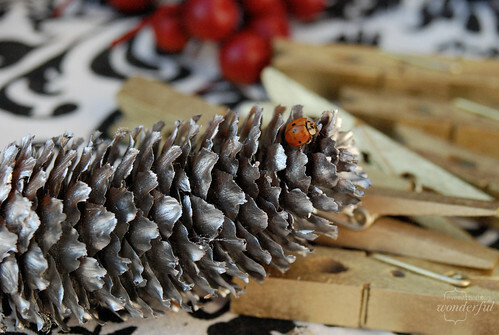 Use a metallic craft spray paint available in craft stores in a well ventilated area and coat your pinecone as many times as you like. A good two coats should do it. For a more durable, longer-lasting ornament or decoration you can coat again with a clear sealant or metalizer sealant (like this). 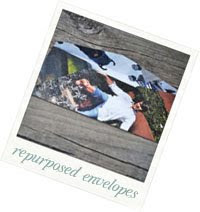 Allow to dry fully before stacking, hanging, or giving. Follow all the steps in the above ornament instructions BUT use a very small pinecone, a small jump ring glued on, and make sure to use a sealant. String on to a chain, use for earrings, or use on a gift wrapping. And just because I loved it - I had a little visitor while I was taking pictures. Love the pinecones! Its fall but winter, and looks natural all at the same time. And now I know how to add the spices, I hadn't done that before, thanks for this!! 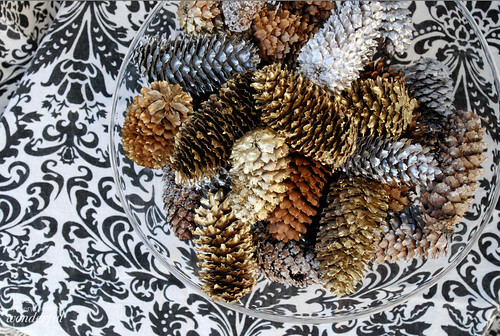 I love all the different pinecones; anyone could pile all the same glittered cones in a bowl, but different variations look pretty darn interesting! Nice job! I've got a pile sitting here and I might do this as well! Oh the glittery potpourri is so pretty!!!! These are just beautiful -- and my parents have three large pine trees right by their driveway supplying tons of pine cones for projects like these!